Hi, IronNuggetz550! You can overdose on any drug. Overdosing on Advil can cuase severe stomach pain. Sometimes, the indivdual will have an allergic reaction to large quantites of Advil. The person should be treated in the emergency room if they have taken too much advil. Yes you can overdose on advil. The maximum amount of ADVIL (ibuprofen) for adults is 800 milligrams per dose or 3200 mg per day. An advil overdose can damage your stomach or intestines. Symptoms may include nausea, vomiting, stomach pain, drowsiness, black or bloody stools, coughing up blood, shallow breathing, fainting, or coma. If you think someone you know may be experiencing alcohol overdose, make sure to get help immediately. You can call 911. Yes, it is possible to overdose on any drug. As energy drinks and other more concentrated forms of caffeine and other drugs become available it is more likely this will happen. Recently a boy died in school after using several energy products within a short time. Absolutely, excess ingested iron can have an extremely corrosive effect on the gastrointestinal (GI) mucosa, which can manifest as nausea, vomiting (even blood vomiting), abdominal pain, and diarrhea; patients may become hypovolemic (decrease in plasma volume) because of significant fluid and blood loss. Hey scoobertdoobert! Thanks for your question! In my opinion, overdose means taking too much drug that requires medical attention and going to the emergency room at the hospital. LSD or D-lysergic acid ethylamide is a hallucinogen. LSD causes hallucinations or sensations and images that appear to be real although they are not real. LSD can cause sleep problems, panic and paranoia, speech problems, anxiety, and depression and suicidal thoughts. If a person keeps having these problems, then I would say that the person has overdosed on LSD. Can you overdose on vaping? It is difficult to overdose on Xanax or other drugs like it (such as Valium) alone. But, when combined with alcohol or opiates like heroin or fentanyl, they can cause overdoses. It would be a pretty terrible idea, and wouldn't get the nicotine to your brain any faster. Can you survive an addiction to heroin? Yes. Although recovering from addiction requires treatment as well as support from family and friends. Can you take drugs and still live a healthy life? Using drugs isn't a healthy choice. When you use drugs, you risk becoming addicted. Once you become addicted, your priorities shifts to ensuring that you can get your drug. Once you start making those kinds of choices, you become increasingly unable to make other choices that keep you healthy--like eating well, exercising, and staying connected to the people in your life you value. If you want to live a healthy life, The Real Lebron, it is best to avoid using drugs. Hello and thanks for participating in Chat Day! Products such as glues, nail polish remover, lighter fluid, spray paints, deodorant and hair sprays, whipped cream canisters, and cleaning fluids are widely available yet far from being unharmful. Many young people inhale the vapors from these sources in search of quick high without being aware that using inhalants, even once, can have serious health consequences. See more information at the link below. We hope this is helpful! Using inhalants, such as spray paint, markers, sharpies, or cleaning supplies, can result in nerve cells not being able to do their job, which can cause loss of coordination and lead to permanent difficulty with basic actions such as walking, bending, and talking. So, things that you might not think of as drugs are still chemicals and have chemical effects on the brain and body. can you get high off Tylenol or other sleeping meds? By Tylenol, if you're referring to acetaminophen, it is unlikely to cause a high. Sleeping meds don't cause a high but will do the opposite. Sleeping meds will likely cause you to be drowsy or calm you which is why it's often prescribed for those suffering from anxiety or sleep disorders. Can you get high on all drugs, or only certain ones? Can you get impotence because of drug abuse? Hello Percy -- The answer is yes. Drugs affect different people in different ways, and this can definintely be one side effect. can you give me some tips to quit smoking??? Can you have a heart attack because of drugs if so why does this cause a heart attack? Good question, 4176! Yes, drugs can cause heart attacks. Cocaine, meth, spice, and steroids all have been linked to heart attacks. Stimulant drugs, like cocaine and meth, cause a massive release of norepinephrine that can cause the heart to be overstimulated and cause sudden death. Technically, it is physically possible to inject alcohol, but the effects would be disastrous! It wouldn't take much to kill a person that way. Highly highly dangerous!! can you list ALL illegal drugs just to be safe?? Hey dash! Great question! 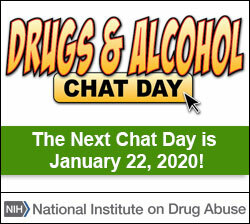 You can find information on most drugs at the NIDA website: https://teens.drugabuse.gov/drug-facts. Great that you want to stay away from drugs! Also make sure to not take anything that a friend offers you if you don't know what it is. Can you OD (overdose) on marijuana? Can you OD on acid?